A portion of the proceeds will be donated to the Downtown Mission. We will also be accepting canned/non-perishable food and sanitary items for the Mission’s Food Bank. Every season, we give our youngest students a chance to warm up on stage under the friendly eyes of family and friends in a smaller venue. 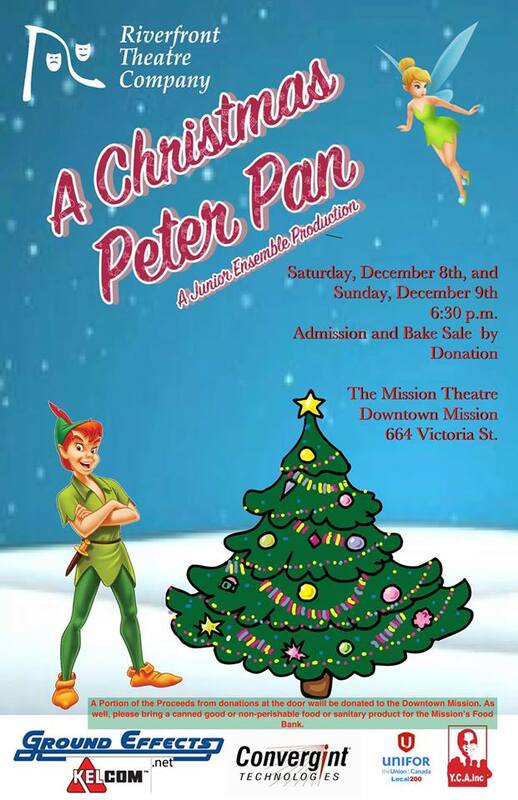 This year, our Juniors will be producing A Christmas Peter Pan. Peter Pan, unable to wait for toys to arrive on Christmas morning, has travelled to the North Pole to see Santa for himself. But disaster occurs when Peter is followed by Captain Hook! Now Santa Claus has been frozen in the North Pole and can’t deliver the presents on Christmas! Out on the frozen tundra, Santa’s Elves search for their Lost Toys. It’s going to take the help of Wendy, John and Michael, along with Tinkerbell and all the Winter Fairies, to keep Christmas safe!